Home and business owners in the area usually prefer our carpet cleaners Blendon and Penhill DA5 because we are a friendly, affordable and reliable professional cleaning services provider. We have been operating for over 10 years and Ashlee House Cleaning has proven itself as one of the leaders in the local carpet cleaning business. We can get all types of carpets cleaned in a safe and timely manner. Our services are completely insured, and we work with innovative professional cleaning tools and instruments, as well as eco-friendly and harmless detergents. We also offer special fibre protection for your carpets with the help of a Scotchgard protection layer. Our cleaning services can be provided on any day of the week, even on the same day you call us. Because we care for our customers, we have set up a 24/7 customer call centre to process all requests for offers, booking and discount information. Just do it and book our carpet cleaning service today - we will help you rejuvenate, sanitise and extend the life of your carpeting! 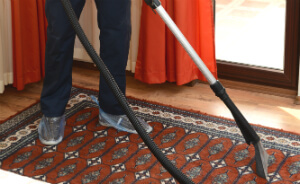 Ashlee House Cleaning offers high-quality, affordable and reliable rug and carpet cleaning in Blendon and Penhill DA5, suitable for domestic and commercial properties as well. We are constantly investing in hiring the best cleaners and personnel, as well as in buying the latest and most modern professional cleaning tools, technologies and Prochem certified solutions for cleaning, which are tested and perfectly safe for people, animals and the environment. Our cleaners all work in accordance to the safety and quality procedures which we have implemented, as well as the detailed cleaning checklists which we have developed for every professional cleaning service which we provide. We use the most efficient carpet cleaning methods to guarantee that your carpets and rugs are properly cleaned, all allergens, dust mites, dust and dirt are removed, while at the same time - the carpet remains safe and undamaged. Carpet cleaning starts with an inspection, testing of the detergents and hoovering. Only then our professional carpet cleaner will proceed to deep clean the carpet. When steam carpet cleaning is performed, the cleaners use a professional hot water extraction cleaning machine. This technique is best for durable textiles. For more fine materials, we highly recommend dry carpet cleaning in Blendon and Penhill. Our cleaners use special instruments to apply special dry compound cleaning foam in the fibres of the carpet. It is left to remain there for some time and then it is removed with a vacuum cleaner. Along with it, any residues and dirt are removed. Our deep carpet cleaning is suitable for both synthetic or natural carpets. You can call any day of the year for our carpet cleaning experts in Blendon and Penhill DA5 to visit your business or home property and deep clean any type of carpet. We have bank holiday and weekend availability. Book earlier for a better price. Call 020 3746 1366 or send us an online request. The operators are always available to process your order in less than 2 hours. We can come on the same day in a case of emergency. We have cost-effective prices for the professional carpet cleaning service. If you book more than one service at once, you will get a discount. Estate agencies, landlords and regular customers get special rates. Let us clean your carpets to excellence - book with us!